Marvel Comics has paired with the founder of Starset, a high-concept rock band in service to a fictional scientific society, to produce an 88-page graphic novel about messages from the future called The Prox Transmissions. It’s kind of a trip. The Prox Transmissions is written by Starset lead singer Dustin Yates with Peter David (Ben Reilly: Scarlett Spider, Spider-Verse), illustrated by Mirko Colak, SKAN, and others. It appears to tell the history of the Starset Society, a research conglomerate that investigates the future of technology. 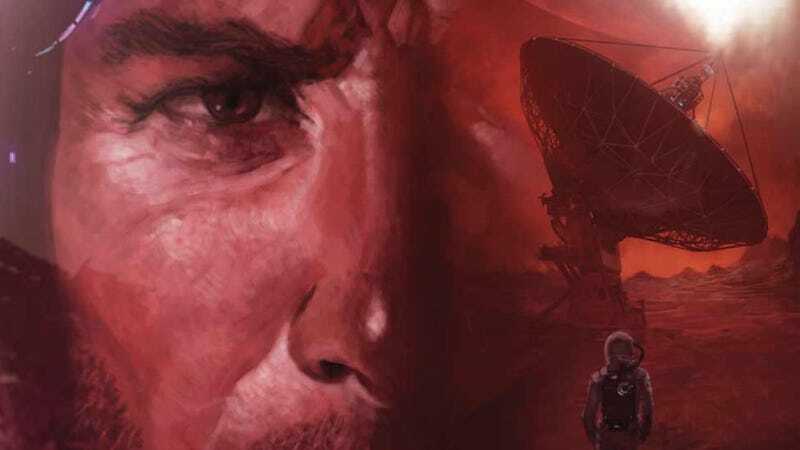 The novel starts with a secret radio transmission from the future found by SETI radio astronomer Dr. Stephen Browning, who seeks the help of Dr. Aston Wise to discover the meaning of the message. It warns of a future where technology is marred by corruption, and it’s up to the scientific duo to save humanity. It’s kind of hard to explain what Starset is if you’re not already a fan. Founded in 2014, Starset is the brainchild of Bates, an engineering graduate who created a conceptual multimedia project that later became the Starset Society. The band presented Starset Society as a real group that is in possession of that aforementioned super-secret transmission from the future. Hell, Bates previously said Dr. Wise approached him with membership into the society, leading to the creation of Starset in the first place as a PR front for the group. Bates has since admitted it’s all made up, of course— but in any case, the band is real and they’ve got some interesting songs. The Prox Transmissions comes out this September. You can reach some of the pages below.